OMG! These are just so cute and you did a great job making them look like ghost! Aww, thank you Nancy! The first one (in front) turned out the best! Such cute little treats, Sarah! And easy, too! I think I’ll make some to take to work – that way I’m not tempted to eat them all myself! Hi Ashley! Thank you very much :)…they didn’t last very long around here! But that’s okay, they were so easy to make! This might be the cutest thing I have seen all day. Perfect for Halloween! Stop being so cute! STOP IT AT ONCE. 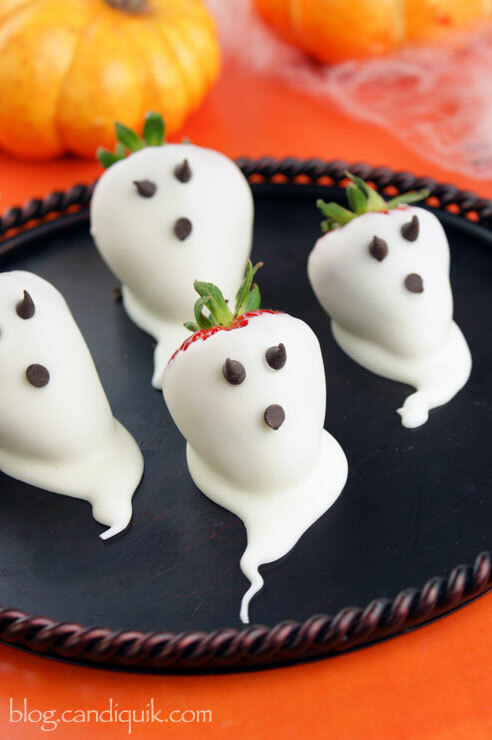 I’ve done strawberry ghosts before, but it hadn’t occurred to me to purposefully make a candy tail–but that little twist totally makes the candy! Have you!? I’ll have to go see them! I love the little tails on them – I’m very pleased with how the first one turned out! Thanks for stopping by! I am so ready for the Halloween treats! I love this time of year! These are adorable and simple too! My kids could help! Hi Tanya! Kids could totally help – the messier the cuter! that you referred to? I have looked all over this site and can not find a link to it. Hi Claudia, you can find Candiquik at Walmart and Target stores (located in the baking aisle). It is also at many other grocery stores across the country, I can help locate another retailer with your zip code? Hope this helps. Thank you! I just shared these on my FB page and pinned! SO CUTE!! OMG, these are too cute for words! What a fun treat for Halloween. Hi Amy! Aww, thank you so much & thanks for stopping by! Ahhhhh!! I love these so much!! They are so awesome! Pinning these! Thank you so much for linking up at Wake Up Wednesdays! And thank you for stopping by, Lisa! Thank you! Oh my goodness, this is ADORABLE!!!!! 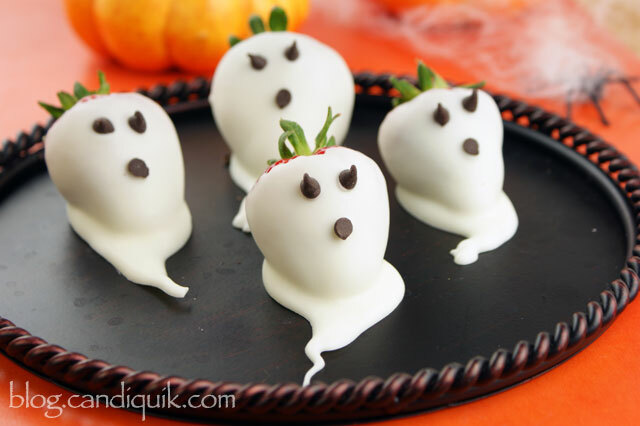 What a fun idea for halloween, the little strawberry ghosts look delicious and soooo cute!!!! I love these guys!! Thanks so much for sharing at Show Me Your Plaid Monday’s! This is such a great recipe! 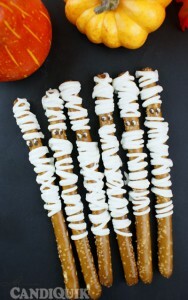 I’ve included this one if a BEST HALLOWEEN PARTY DESSERTS roundup blog post i just did. I think your recipe is great for guests at ghoul parties! Check it out!